Kingston, ON – February 2, 2015 — The Winter 2015 issue of QSB Magazine, the publication for alumni and friends of QSB, is available in an interactive online version at qsb.ca/magazine. Kingston, ON — Jan. 27, 2015 - A team of four second-year Commerce students has reached the regional finals in the international Hult Prize competition. Kingston, ON – Jan. 26, 2015 – The results of the Financial Times (FT) top 100 full-time global MBA programs are in and Queen’s MBA has ranked #86 in the world (#3 in Canada). Commerce team takes first place in Finance competition at I.C.B.C. KINGSTON, ON – Jan. 21, 2015 — More than 140 students representing 30 Canadian and international business schools competed in the 37th annual Inter-collegiate Business Case Competition (I.C.B.C.). 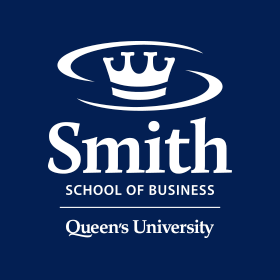 KINGSTON, ON - Jan. 14, 2015 – Today, Queen’s School of Business and the Samuel Curtis Johnson Graduate School of Management at Cornell University announced the rebranding of their executive MBA dual degree program formerly called the Cornell-Queen’s Executive MBA program.